Your *NEW* 4-in-1 File Catty! 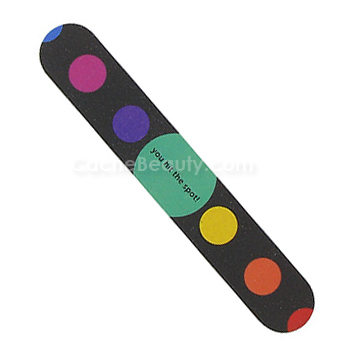 The best all-around manicure tool - hands down! * New "Grand Stand" style 15-piece display prominently shows the NEW File Catty! * 3 different styles: Save Me a Spot, You Hit the Spot and Spotlight's on You! * Total of 15 Files ! * STYLE: save me a spot! * STYLE: you hit the spot! * STYLE: spotlight's on you! 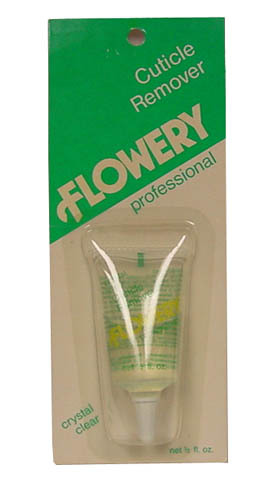 Flowery has discontinued this item and we are out of stock. 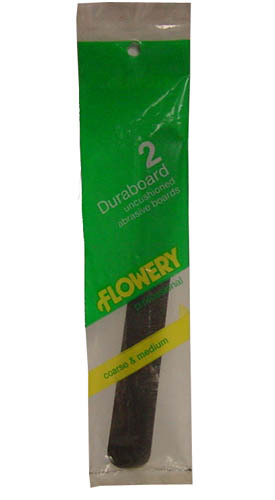 * Abrasive Wood Core Emery Boards. 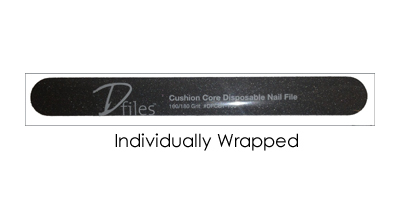 Purifiles are made of durable resin coated polyester backed abrasives that can be soaked and sanitized in a disinfectant bath. 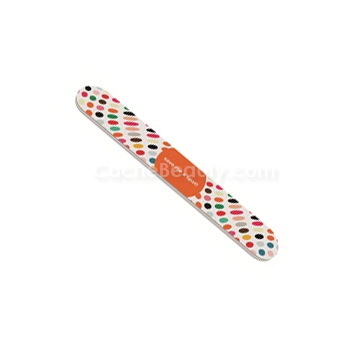 They can be safely used again and again for beautiful, sanitary shaping and smoothing. 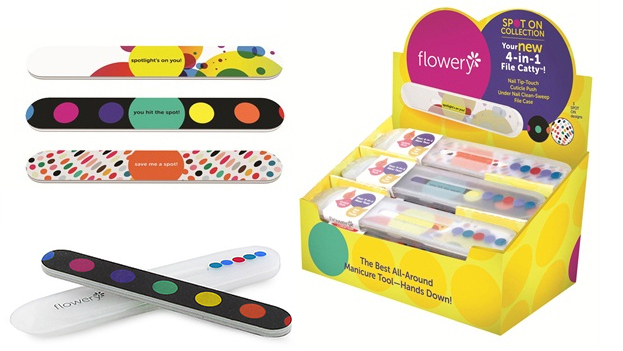 PURIFILES by Flowery put cleanliness at your fingertips. 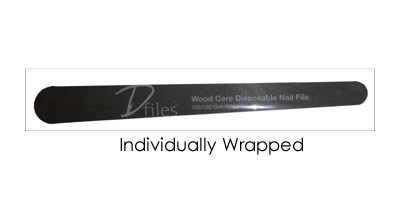 PURIFILES are made of durable resin coated polyester backed abrasives that can be soaked and sanitized in a disinfectant bath. 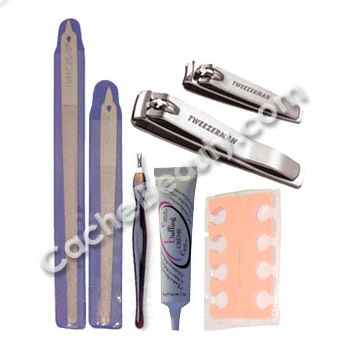 They can be safely used again and again for beautiful, sanitary shaping & smoothing. 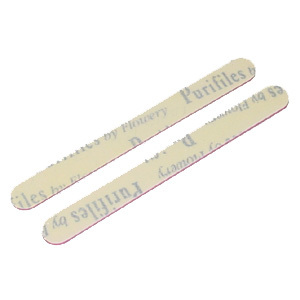 PURIFILES by Flowery put cleanliness at your fingertips. 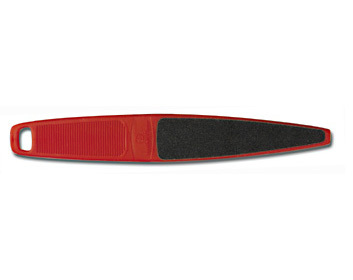 PURIFILES are made of durable resin coated polyester backed abrasives that can be soaked and sanitized in a disinfectant bath. 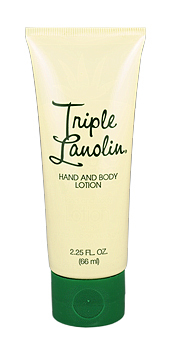 They can be safely used again and again for beautiful, sanitary shaping	& smoothing. 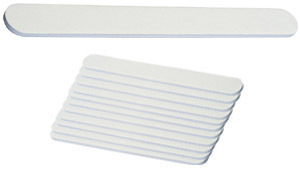 * Last up to 3 times longer than other washable files! 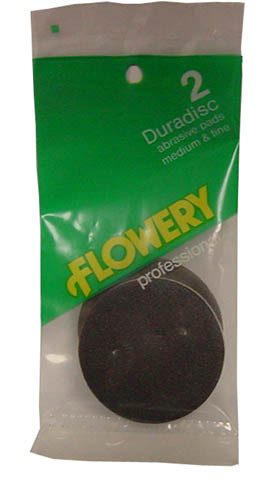 Fantastic Finger Saver for use with Flowery Professional Abrasive Boards. 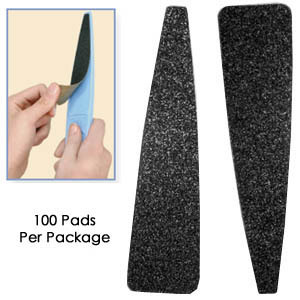 2 Duradisc abrasive pads 1/medium and 1/fine per package. 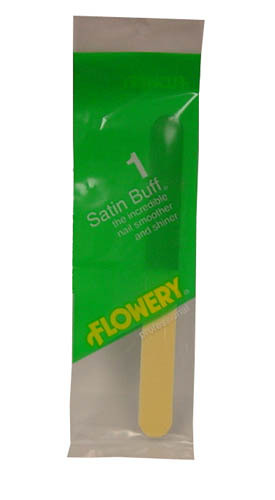 Satin Buff. 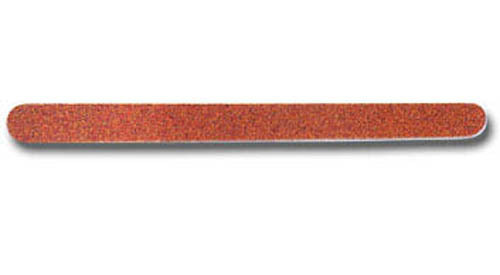 The incredible nail smoother and shiner. 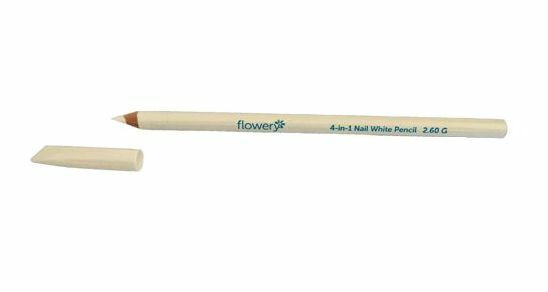 Flowery Nail White Pencil 7"
* NBC provides the natural nail with a deeper, richer, longer lasting shine than any other buffing system on the market. 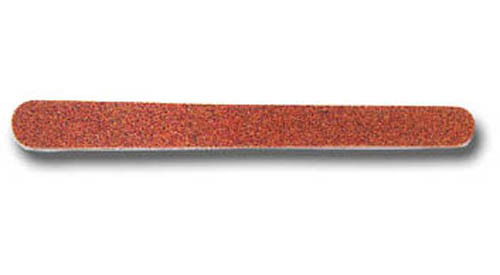 Cuticle Erasing Stone. 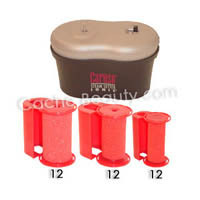 Extra large professional size fine grit abrasive stone, removes cuticle from the nail bed without scratching the nail. 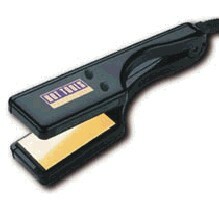 An excellent prep tool for all services. 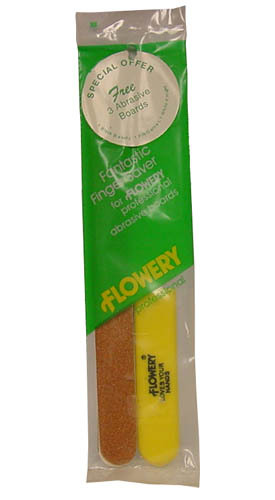 Flowery Chamois Nail Buffer 6"
Chamois Nail Buffer. Handmade in the USA. 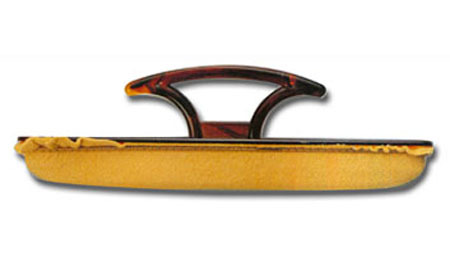 It has an elegant tortoise shell handle and replaceable chamois skin. 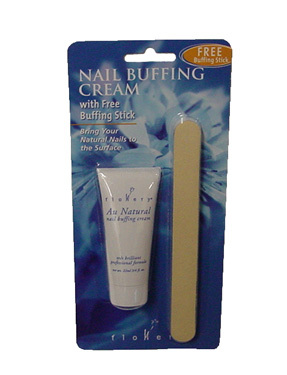 Used with Flowery Nail Buffing Creme, provides natural nails with a deep, rich, long lasting shine. 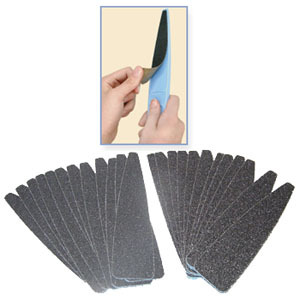 4 1/2 " 100/150 grit professional abrasives with easy to handle shape. 8 boards per package.
" Buy as low as $ 0.45 cents per file ! " * 8 boards per package.
" 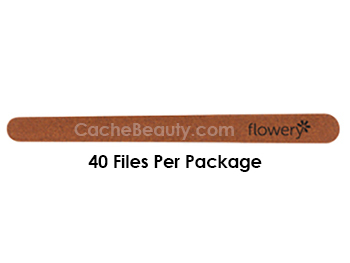 Buy as low as $ 0.43 cents per file ! " * 40 boards per package. 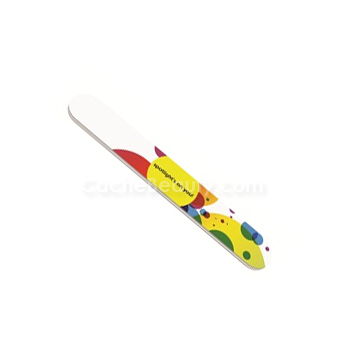 * Includes Swedish handle, five 60 grit and five 100 grit waterproof replacement pads. 1. Disinfect handle according to your state’s guidelines. Dry with a clean towel. 2. Peel backing off 60-grit pad and affix to the side with massaging bumps. Peel backing off 100-grit pad and affix to the side with ridges. 3. Soak feet in water, then file. 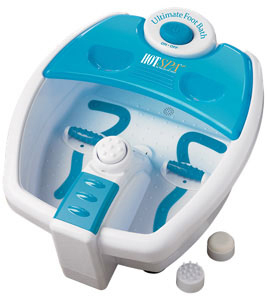 Softer feet are in your hands! 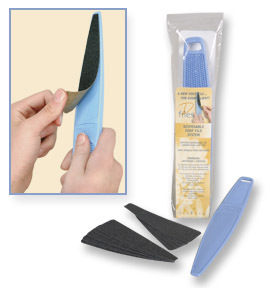 After service, peel pads off of handle and dispose in a closed receptacle. repeat the steps above and get ready for a new client! 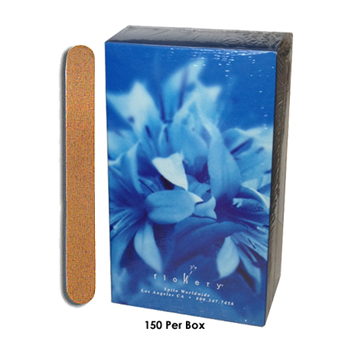 * Twelve 60 grit and Twelve 100 grit waterproof replacement pads. * A $ 21.61 Value!! !